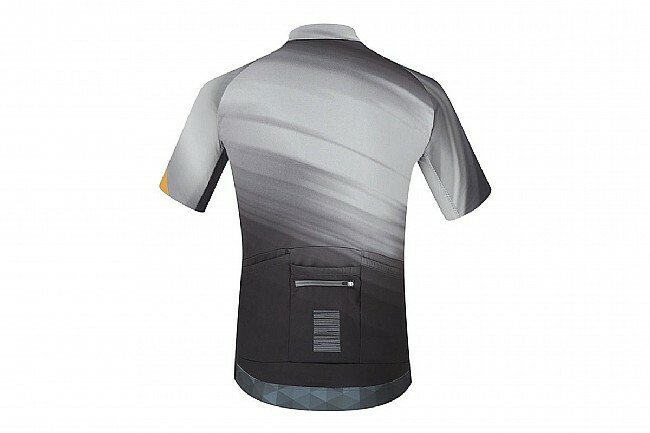 Train in comfort and style with this luxuriously comfortable new jersey from Shimano. The Breakaway features a Slim Fit with Shimano's 4-way stretch fabric, offering optimal comfort for those pre-season miles. With its moisture-wicking and quick-drying properties, the Breakaway is also UPF 40+ protective for those all-day efforts. A full-length zipper allows for on-the-go ventilation adjustments, and the usual three rear pockets receive an additional sweat-proof zippered pocket for additional storage. Slim fitting performance jersey designed for comfort on training day. Moisture-wicking and quick-drying body fabric with UPF 40+ protection. Elastic silicon gripper on back keeps jersey in place. 3 easy-access back pockets with sweat-proof zipper pocket. Great looking, great fitting jerseys. Similarly fitting like champion systems race cut.